Janelle Monae performs onstage during the 2018 Global Citizen Festival: Be The Generation in Central Park on September 29, 2018, in New York City. Headliners for the 7th Annual Global Citizen Festival featured Janelle Monae, John Legend, Shawn Mendes, Cardi B, Janet Jackson and The Weeknd. The day-long event, which encourages attendees to become active in social issues, including reducing the amount of single-use plastic, bail bond policies that unfairly target minorities and the poor and providing every child with access to quality education, and more, was attended by nearly 60,000 people. 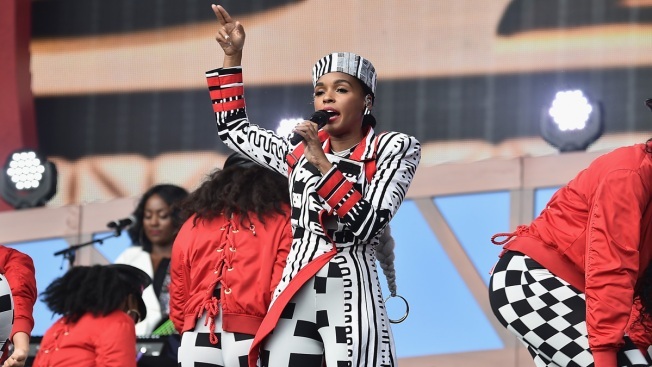 Janelle Monae took the stage and addressed Dr. Christine Blasey Ford's allegations of sexual assault by Supreme Court nominee Judge Brett Kavanaugh. There was a "brief panic" at the festival after a security barrier fell and concertgoers confused the noise for gunshots.